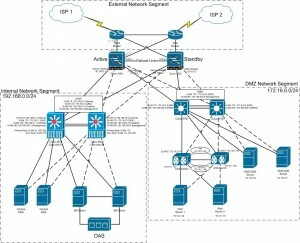 Cisco Catalyst 2960 – Powered by PoE! Take a look at this video, which features the Catalyst 2960 products range. Notice the 2960PD-8TT-L, which is a little gem; I can imagine many circumstances when this could be used. The switch receives it’s power via PoE. Q. What is the Cisco Catalyst 2960PD-8TT-L compact switch? A. The Cisco® Catalyst® 2960PD-8TT-L switch has eight 10/100 Mbps ports and receives power over the Gig uplink port from an upstream power over Ethernet (PoE) switch. The Cisco Catalyst 2960 powered device (PD) switch is ideal for deployments outside the wiring closet such as conference rooms and classrooms with spacing and wiring constraints. The quiz asks questions such as whether participants plan to use wireless devices, how they rate their technical skills and whether they are installing the operating system on a desktop or portable computer. Once the quiz is complete, the applications recommends one particular Linux distribution and lists a number of alternative distributions, along with the criteria they failed on.